The good kind of spoiled! Other than the desserts, a lot of gorgeous presents landed on me! Show and tell? Yes! Amazing notions case! So sparkly and green and useful! Yarn! Hand dyed! BY MY MOM! IN GREEN AND YELLOW! 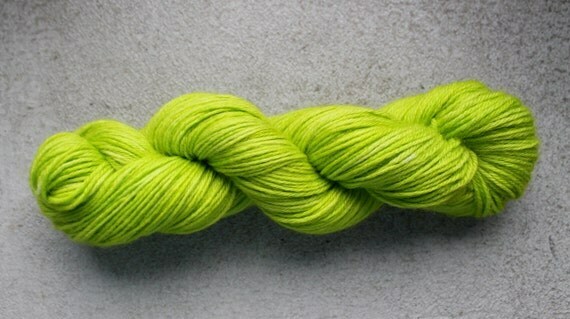 More yarn, from Waterloo Wools, in a colourway called “In the Jungle”, which is super super pretty and amazing! Are you lucky enough to get yarny gifts for your special occasions? Hi! I have good news :) My (dumb) wrists & forearms are starting to feel better! I’m still trying to be patient & cautious and not overdo anything. I’m still not really knitting again, yet. But feeling normal without any knitting is a good first step! I also have some travel coming up soon, and I’m hoping I’ll be 100% better and knit-ready in time for that. Knitting is one of the things that makes travel fun for me! I always give myself permission to spend any time I’m in airports/waiting in lineups/passenging in cars for a long time/[other travel bothers]… I spent those times knitting, which makes the time pleasant instead of tiresome. Another special permission I give myself is to choose an entirely new project and START it at the start of the journey. That way I have something exciting to look forward to, and a way to distract myself from worrying about delays or stuff I forgot to pack or the hundred other details I can obsess about. 1. Small & lightweight! No use packing the giant, in-progress blanket, or 6 skeins of chunky yarn for a sweater. It must fit into my purse. 2. Exciting! I like to choose new yarn to wind, a new pattern to explore, something that really makes my heart go pitter-pat. 4. No overlaps! Ideally, none of the projects I bring need the same needles, so there’s no swapping around needed. I’m having a really hard time choosing, this time. I poked around my yarn closet to see what yarn I was feeling into, and two skeins jumped out. 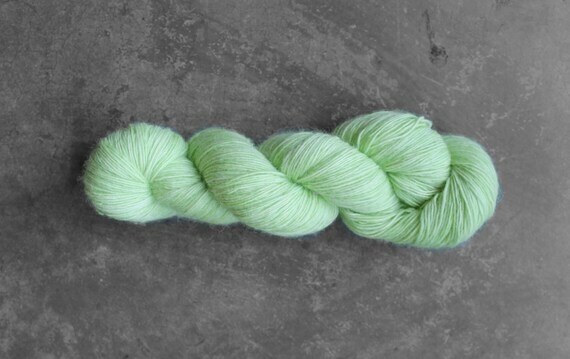 One sock weight, and one lace weight, both in stereotypically springy colours. This one is wool/nylon sock weight, by miss gusset, and I loooove it. I’ve had it in my stash for a while, and it just makes me super happy. 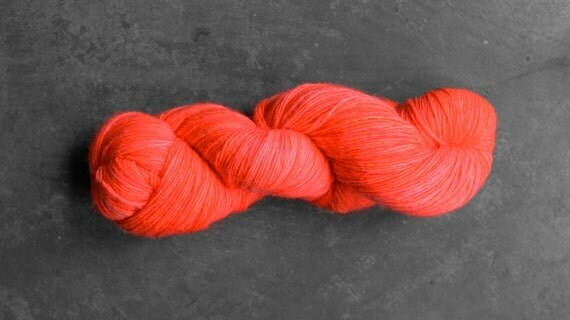 The second skein is beautiful 50% wool, 50% silk lace weight by Vancouver Island’s Sweatermaker! I’m having the worst time choosing patterns though, mostly because the yardage for both yarns is lowish. 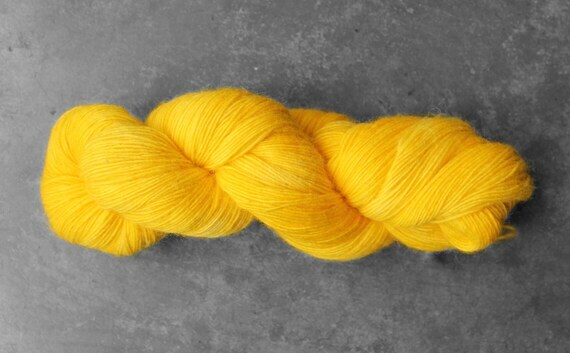 The lovely sock weight is around 330 yards, and the lace weight is around 380. I’m also thinking about avoiding pooling, with the sock weight, and showing off the beautiful subtle tonality of the lace weight. I’d like to use both yarns to their best advantage! Maybe a simple seed stitch cowl in the sock weight? Maybe the Campanula Scarf in the laceweight, since it looks so great in pink? What do you think? 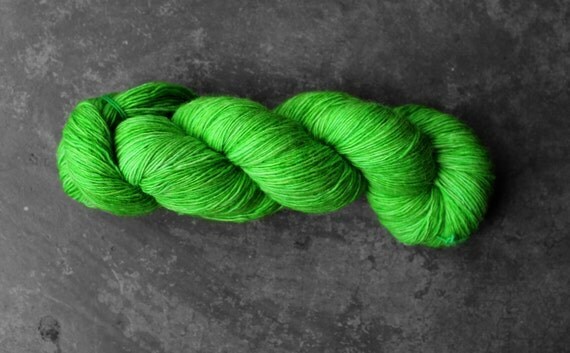 What would you knit with these yarns? 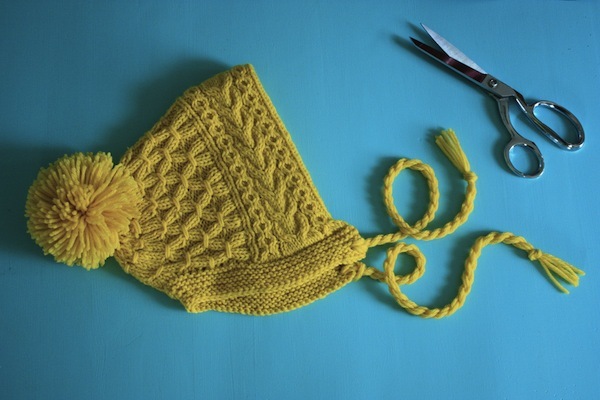 Do you bring knitting with you when you travel?